Here's a plug for a great Charity Ride. 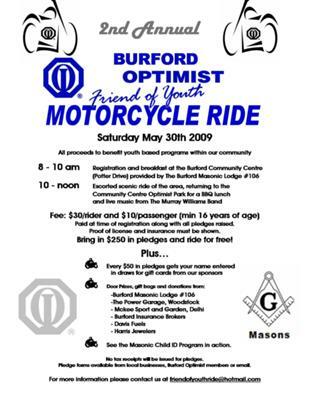 The Burford Optimist Friend of Youth Ride is May 30th, 2009. Contact us at friendofyouthride@hotmail.com for more info.